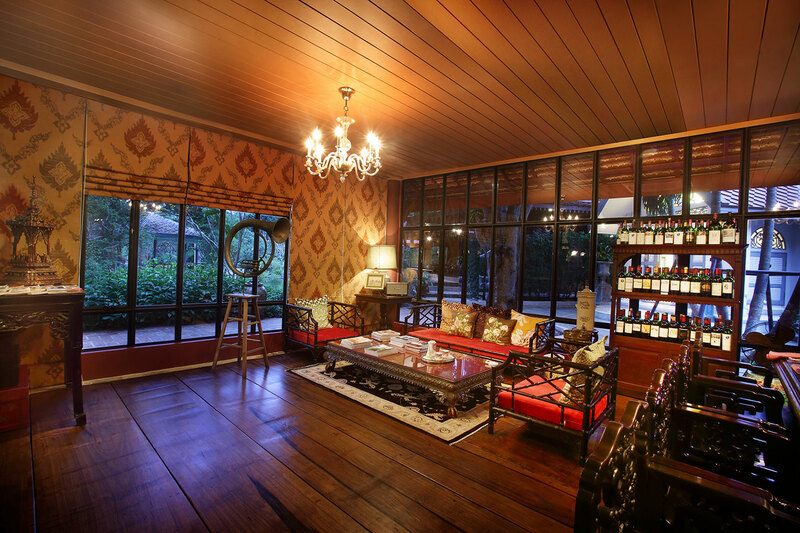 An airy glass-enclosed room fitted with a century-old wood flooring and decorated with a mixture of Thai and Chinese furniture, this room is a common room for guests to gather and mingle. 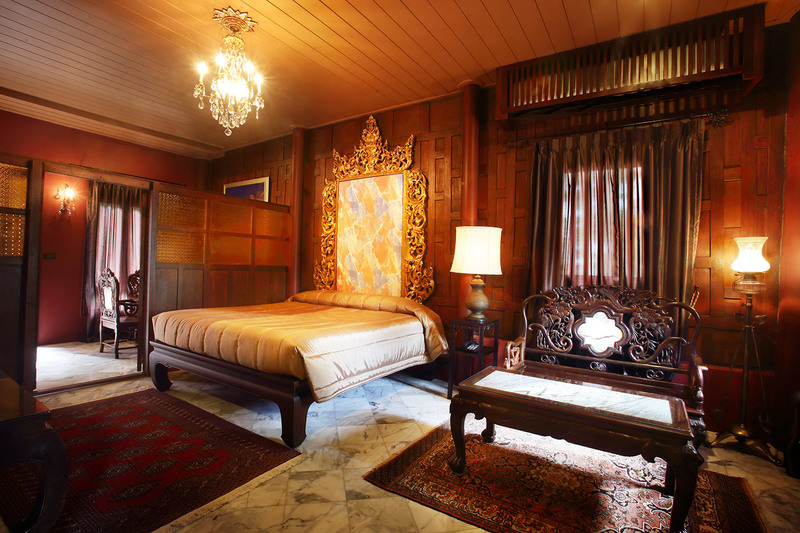 The room is inspired by the city of Batavia, capital of Java, with English and Indian colonial influences and is decorated with Victorian period paintings of the British royal family. 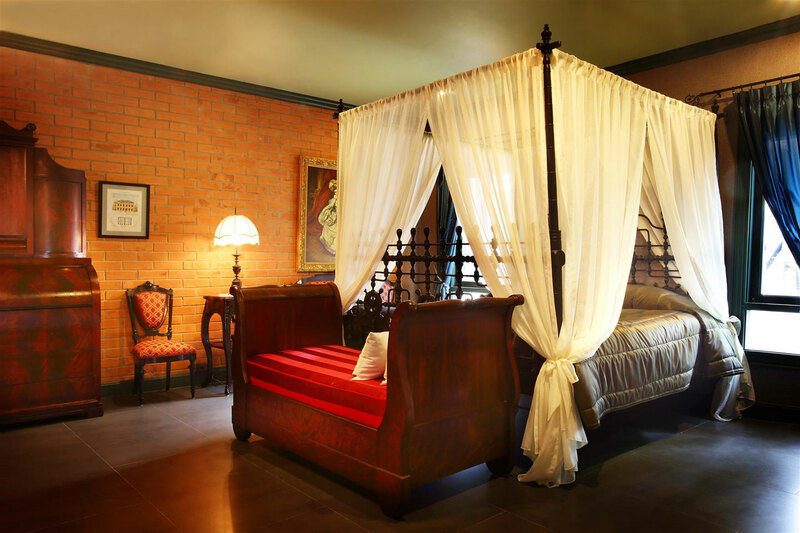 The room is, however, fully equipped with modern facilities. 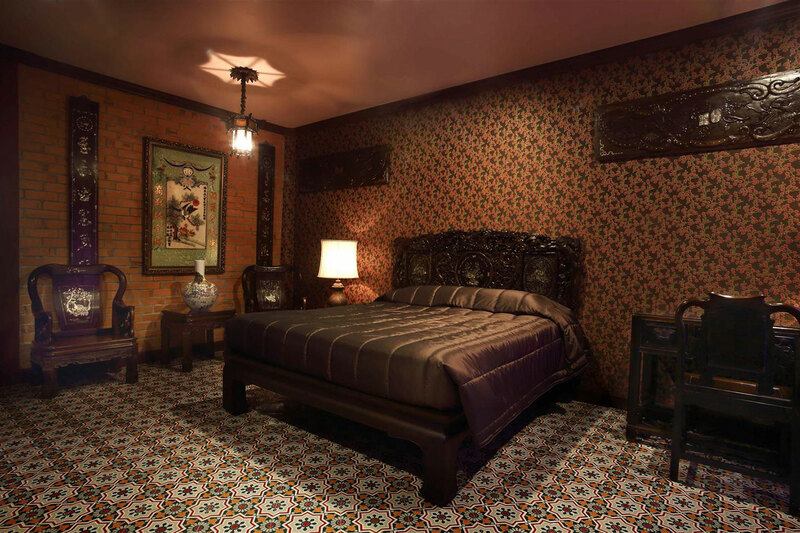 The colorful Peranakan culture of Malacca is the main theme of this room. 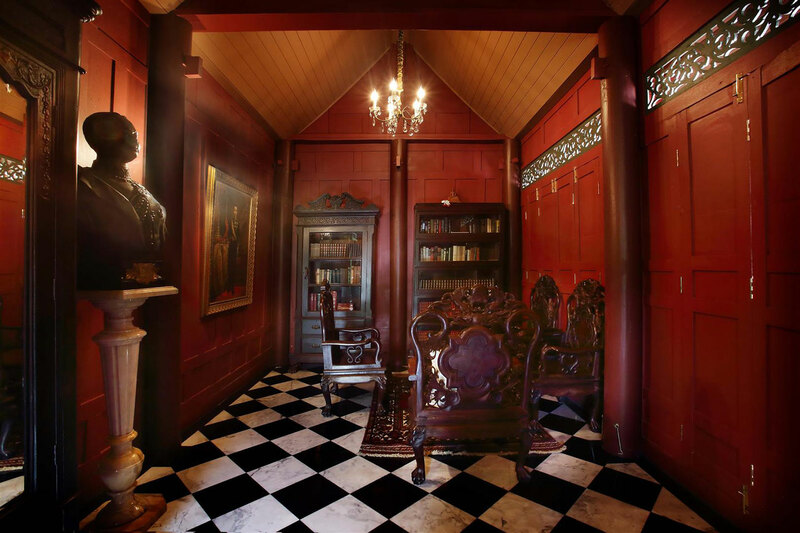 Authentic mother-of-pearl furniture mixed with other Chinese decorative items can be found in this eclectic room. 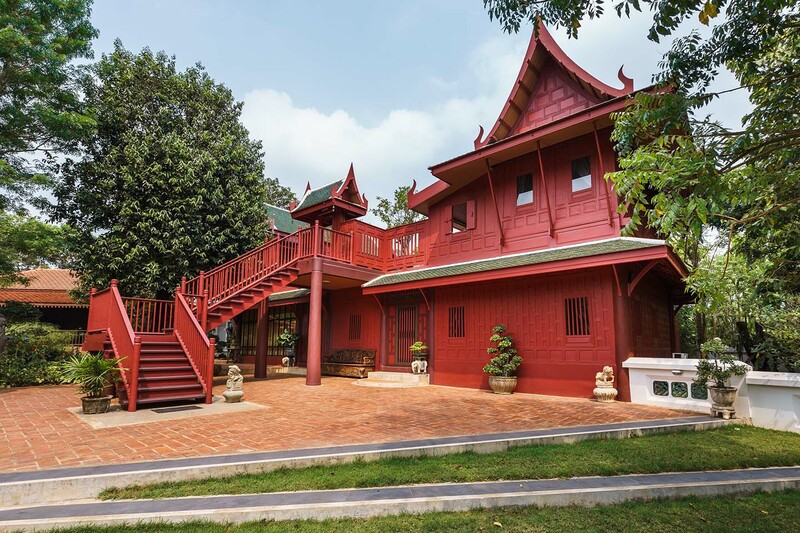 Decorated in traditional central Thai style, the Bangkok Room features a separate bathroom pavilion reachable by a small bridge over a tiny pond. 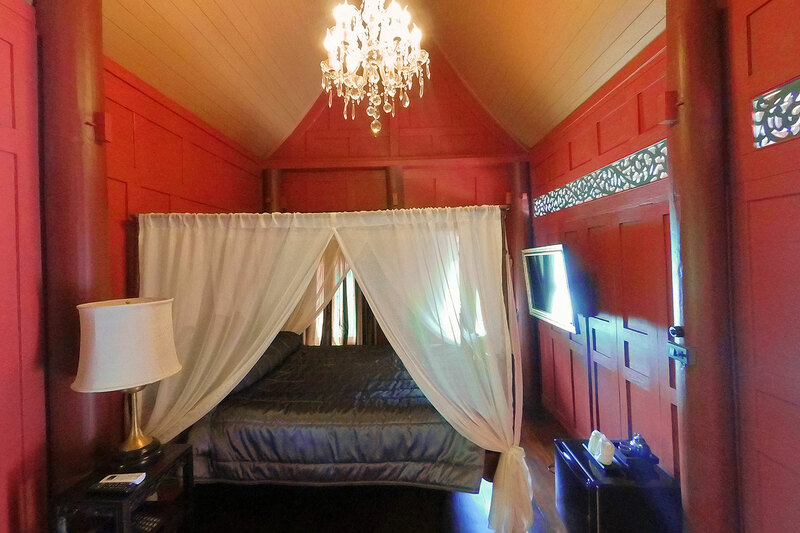 A room in the middle of a set of Thai houses, the R.Lenz Room is decorated with hand-crafted wooden Thai-Chinese furniture and is fully equipped with all facilities so that our guests can enjoy modern amenities in a traditional-style room. 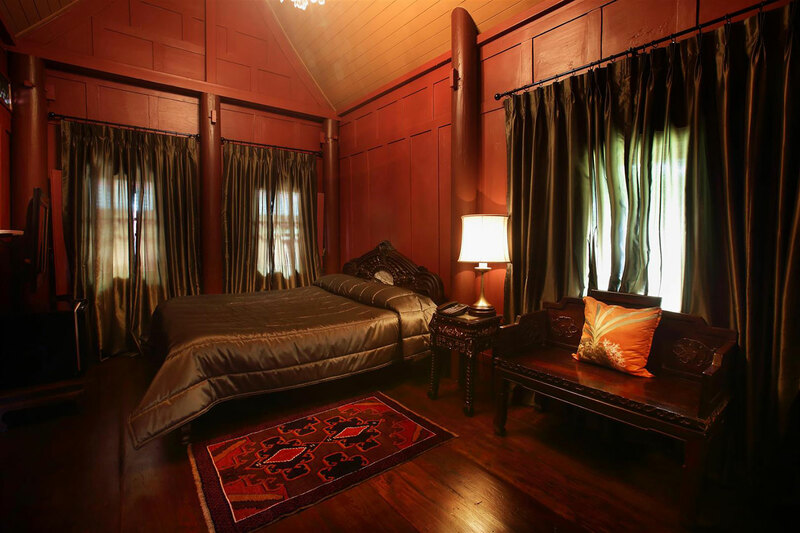 Decorated in a similar style to the R.Lenz Room, the J.Thomson Room boasts a complete range of contemporary facilities offering our guests every convenience in the room’s exceptional traditional setting. In this small library with a good collection of various kinds of books, guests are free to select books to read.